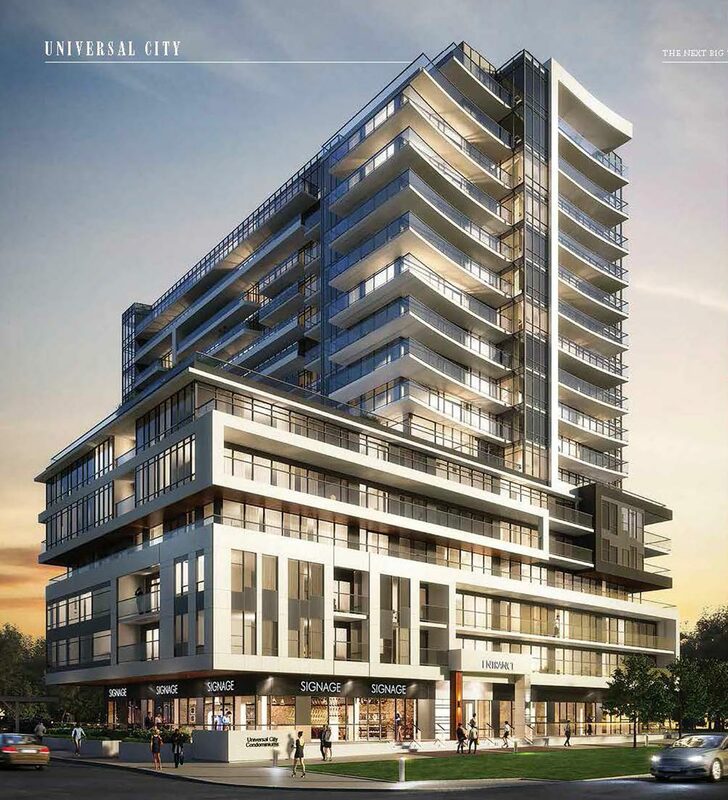 Universal City Condos 2 is a preconstruction condominium development by Chestnut Hill Developments located at Bayly Street and Liverpool Road in Pickering. 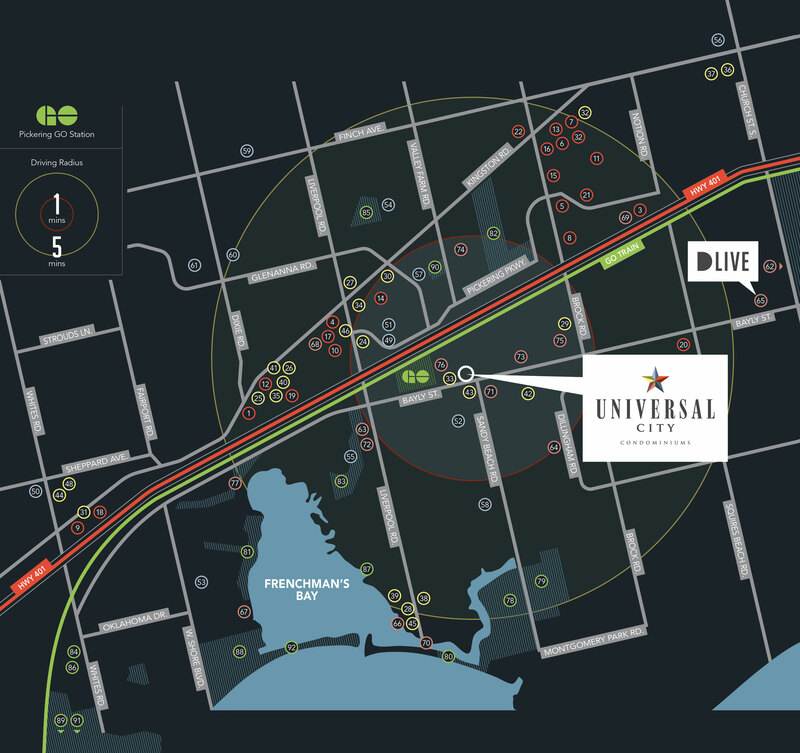 Universal City is a master planned mixed use community featuring a collection of 5 towers in the heart of the action, minutes from HYY 401 and GO Transit. If you missed out on Universal City Condos 1 which sold out within weeks this is your opportunity to secure a unit in Tower 2 launching this Fall from High $300s. Minutes from Universal City Condos 2 is an upcoming massive entertainment complex DLIVE (Durham Live) set to feature a casino, hotel, film studio, theatre, waterpark, golf course, performance hall, dining, shopping, office buildings, commercial space and a lot more. 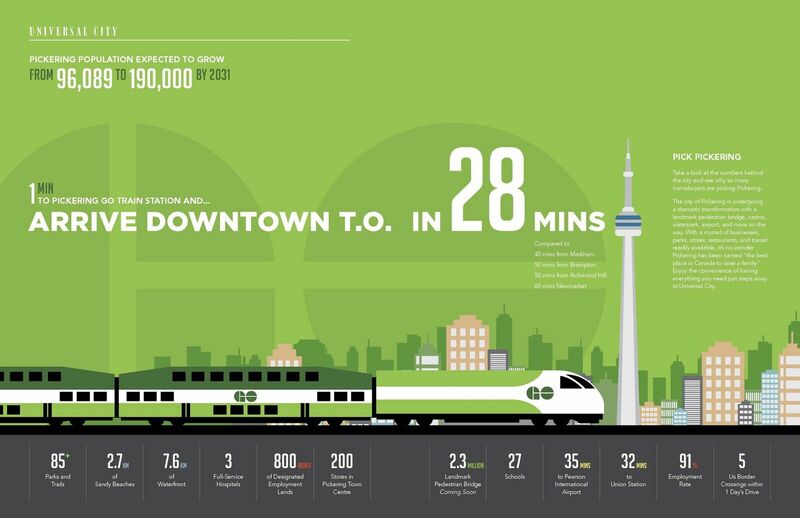 City of Pickering was ranked in the top 10 among micro cities, placing fourth for connectivity and sixth for business friendliness. Pickering was also recently named one of the world’s Smart 21 Communities of 2017 by the Intelligent Community Forum. 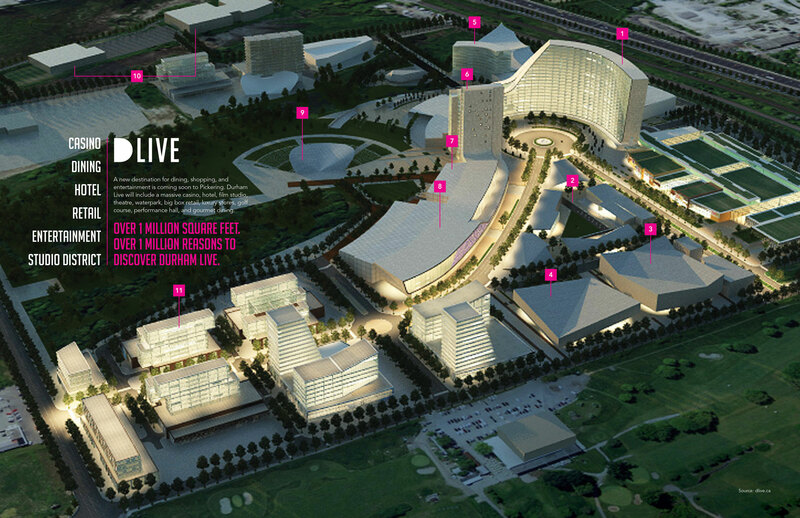 Enjoy the convenience of having everything you need just steps away at Universal City. 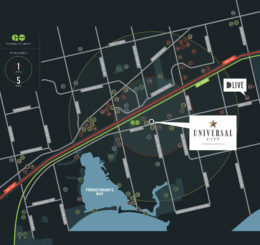 BUILDING AMENITIES: 24 Hour Concierge, State of Art Kitchen with Party Room, Outdoor Landscaped Terraces with BBQ Stations & Cabanas, Outdoor Pool, Fitness Centre, Electric Vehicle Parking Available & Much More. 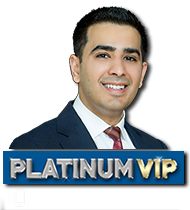 Discounts & Incentives available for a limited time during the Platinum Launch. 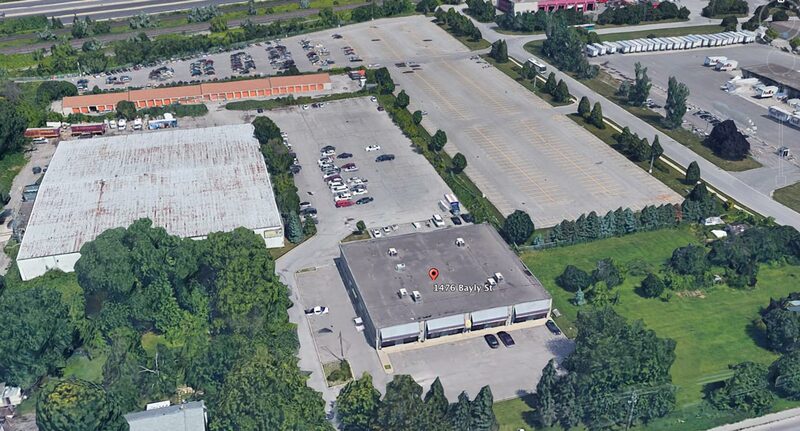 Don’t miss out on the 2nd of 5 Towers by Chestnut Hill Developments! 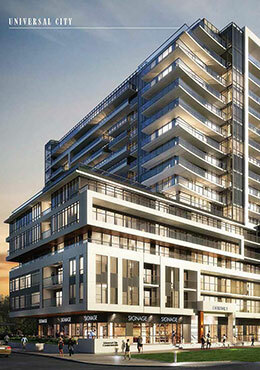 Chestnut Hill Developments was established in 1981, and is one of the leading real estate developers in the GTA market.